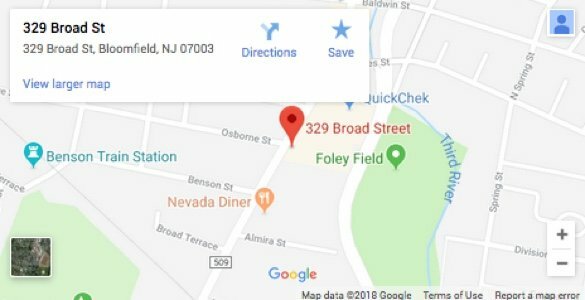 Essex County Recovery Bureau, Inc. (ECRB) is a privately-owned towing and recovery company based in Bloomfield, New Jersey. We serve customers in Essex County and the surrounding areas. Our hard work and dedication has allowed us to rise above the rest, break the stereotypes and become so much more than your typical towing company. Established in 1997, we have remained a family owned and operated business for more than two decades. Today, ECRB is contracted with AAA as a Primary Service Provider (PSP) answering calls at any time to provide 24/7 emergency roadside assistance all over Essex County! We’re also a contracted towing provider for The New Jersey State Police as well as several police departments throughout Essex County. Additionally, we service a wide variety of other customers both large and small from auto dealers, body shops, and vehicle repair facilities. As a primary service provider for AAA, depend on us to save the day! We give it our all whenever we’re called in to assist during roadside emergencies. We’ll hook you up with the roadside solutions you need. When accidents, breakdowns and battery problems bring you down, count on ECRB! From heavy duty equipment to semi-trucks and more, our team is made up of true professionals that know their way around these tows. We are proud to serve Essex County with heavy duty services 24/7. If you need a fast and effective heavy duty response, call ECRB anytime! We are committed to serving our community and bringing the absolute best service possible to everyone we serve. ECRB has left thousands of customers satisfied! Providing you with the most reliable and efficient towing and roadside assistance services, rely on our service professionals to help you. ECRB has really come a long way since first starting out in 1997, and it’s all because of you! We have demonstrated our ability to take on and overcome challenges, build strong relationships with community and business leaders, and really leave our mark on Essex County. ECRB is not just dedicated to providing quality service, we’re committed to community! For years, we have provided sponsorship and support to numerous local charities, youth sports clubs and organizations. Essex County is our home. That’s why we have worked so hard to establish lasting working relationships with so many members of our community. We’re happy to assist our neighbors, local businesses and leaders too. Towing in Essex County is our pleasure.